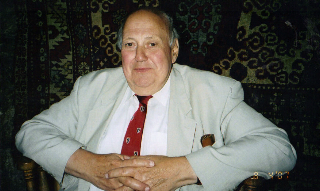 Our Treasurer, Christopher Stevenson, died in July after a six-month illness. Christopher was a well-known face in the Blackfriars congregation, and around Cambridge generally, where he was for many years the Bursar of New Hall. He worked tirelessly for the Trust, and was an avid and delighted fundraiser. His beaming face as he counted the collection after an appeal was a sight to behold. He will be very much missed. A memorial service was held in Blackfriars in November. We would like to thank many of you who have sent donations in his memory, and our thanks also to Krystyna Stevenson, Christopher’s widow, and their son Greg, who asked that donations be made instead of sending flowers. The Trust has received over a thousand pounds in Christopher’s memory, for which we are most grateful. Supporters of the Jean Grove Trust will be glad to see these recent updates from our colleagues in Ethiopia. Thank you for your most appreciated Christmas greetings and best wishes. Please accept mine also. Thank you also for the updates of the initiative undertaken on your part to support our children in Zizencho. The latest development in Zizencho is that the Bethany Sisters have opened an aditional kindergarten in Arequit and are expanding it to become a primary school. The progress the children are making in school is incredible. On parents’ day everyone was astonished at the progress the children had made within such a short period of time. Similarly in Zizencho the Sisters have built additional classrooms and the standard there also is improving tremendously. The best way we can help a society to be self supporting is by provinding it the skill to manage its own life and that is possible through education. To focus on education is ensure sustainable progress at all levels. Thank you for making this possible through your well planned initiatives. At the present moment we have in Zizencho 478 students from kindergarted to eight grade and in Arekit 180 children. All of them get free education, uniform, stationery, medical care and one meal a day for kindergarten children. Together with the school the Sisters run also a clinic which is of great help for the local population to reduce child and maternal mortality in birth. Everyday the Sisters visit from eighty to one hundred and fifty patients in the clinic. We are well aware of the challenge of economic crisis. Still you are brave to keep up the work hoping for a better future. We can only pray that your efforts are rewarded with success. Once again Merry Christmas and a very happy New Year.